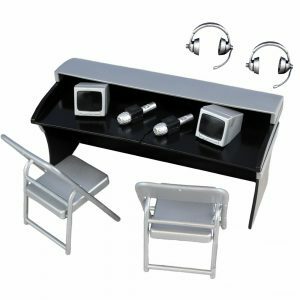 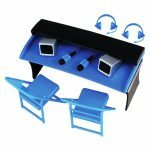 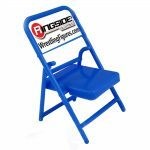 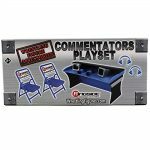 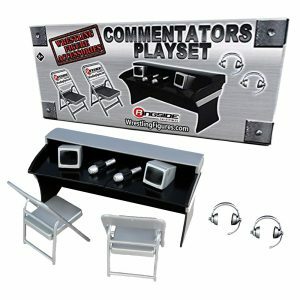 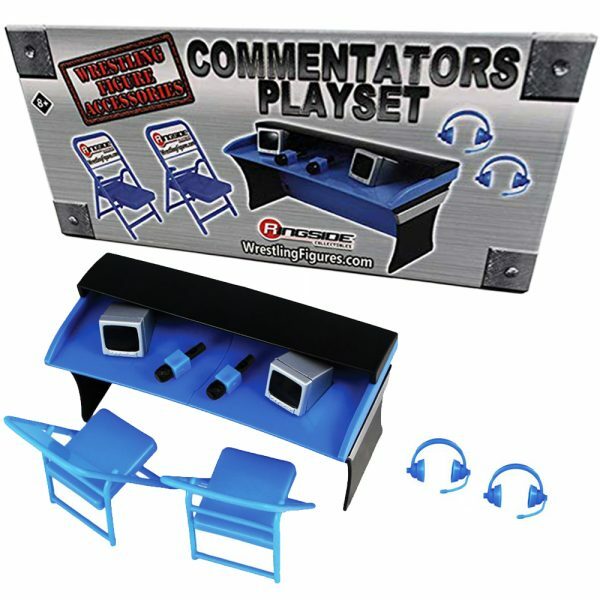 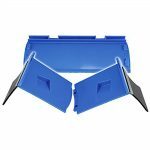 Commentators Playset (BLUE) by Ringside Collectibles. 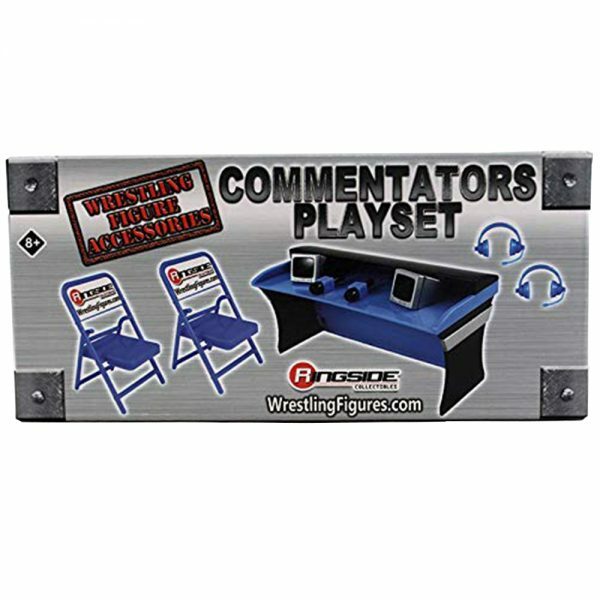 A great Wrestling Figure Accessory Pack for your Toy Wrestling Action Figures! Call all of the action from ringside with this exclusive commentator’s playset!